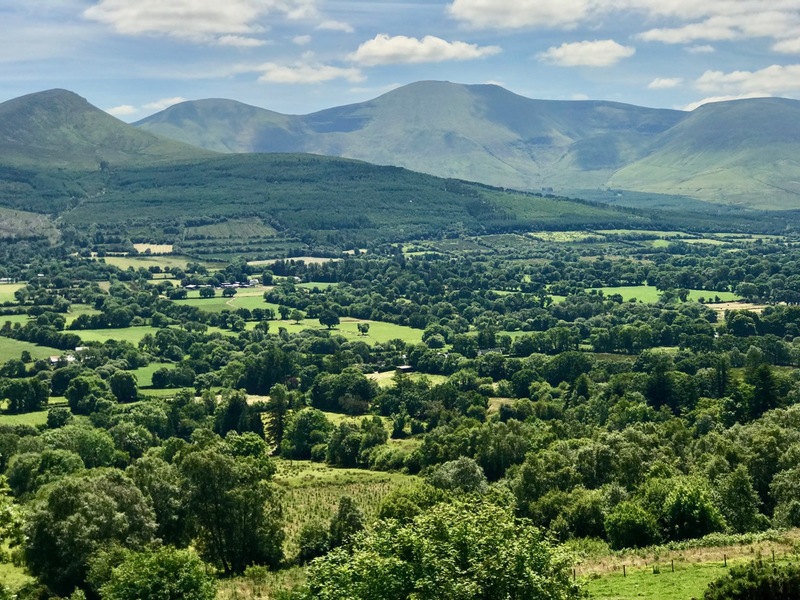 The Glen of Aherlow, County Tipperary: I had never heard of it. 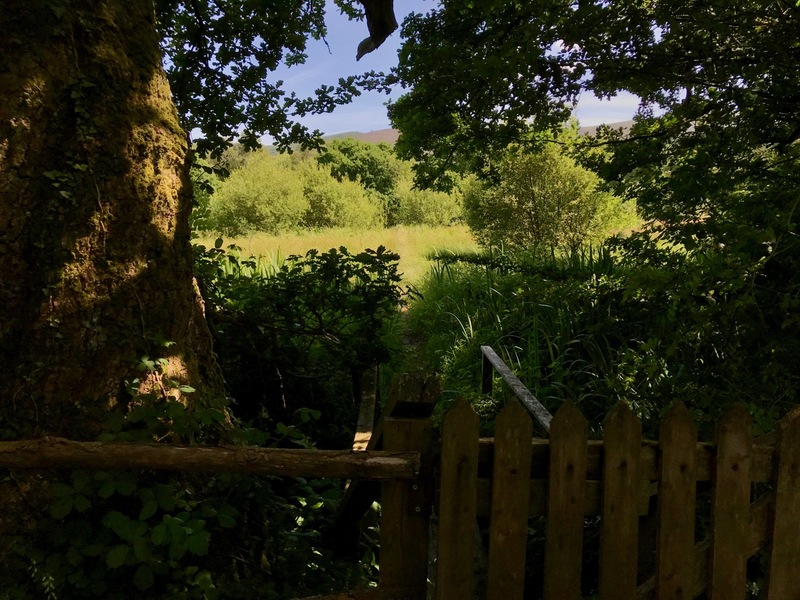 However, as you can see from the view, above, the place deserves to be explored: it’s about 20 minutes from junctions 10 and 11 near Cahir. That’s not too much of a diversion. 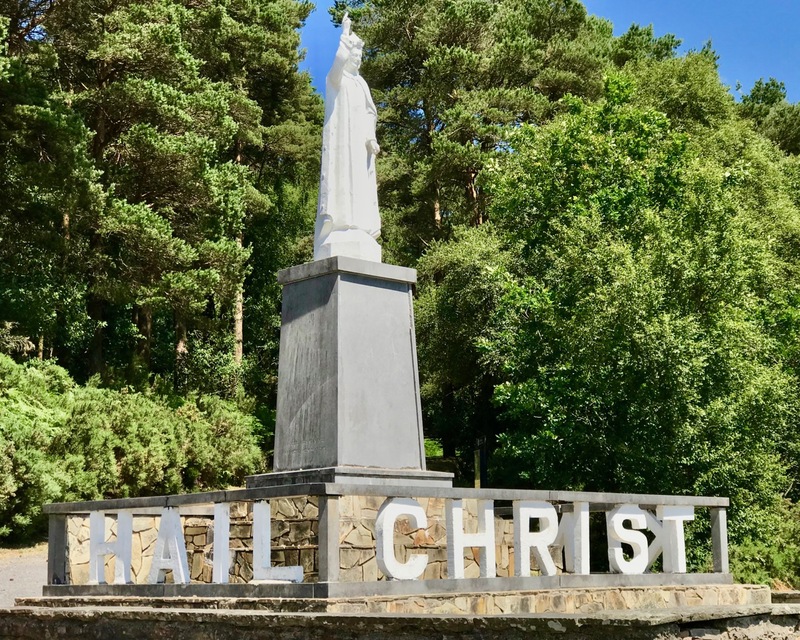 From the spot where this photo was taken – on our travels this week – you can look out across to the Galtee Mountains, a prospect enjoyed for eternity by this imposing statue of Christ the King, whose hand is raised . . . in blessing the Glen, its people and all those who pass by . . . The statue was originally placed here by volunteers in the Holy year of 1950, and recreated in 1975. It has become the symbol of the Glen. 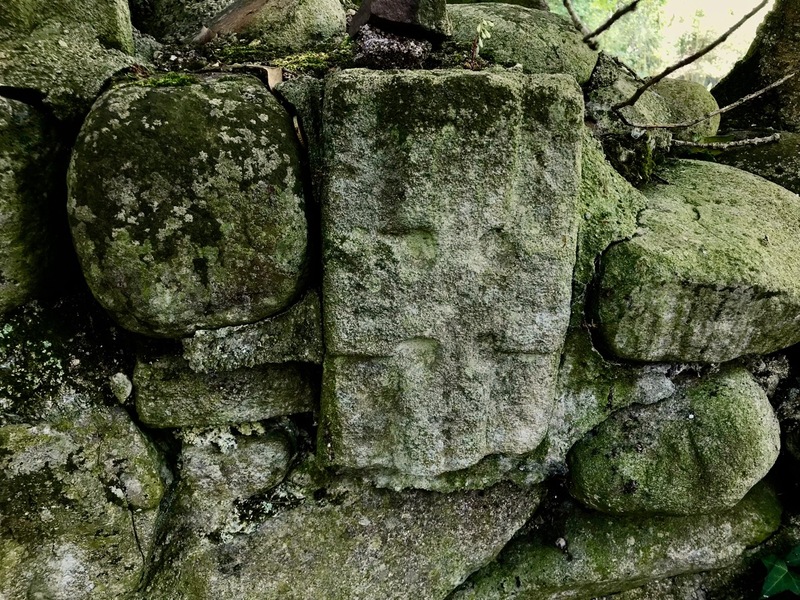 I was intrigued, because a ‘Stone Cross’ indicated in this way often implies a High Cross, and a monastic settlement, so I was anxious to investigate. You will remember previous posts I have written on the many magnificent examples of these medieval treasures which Ireland holds. 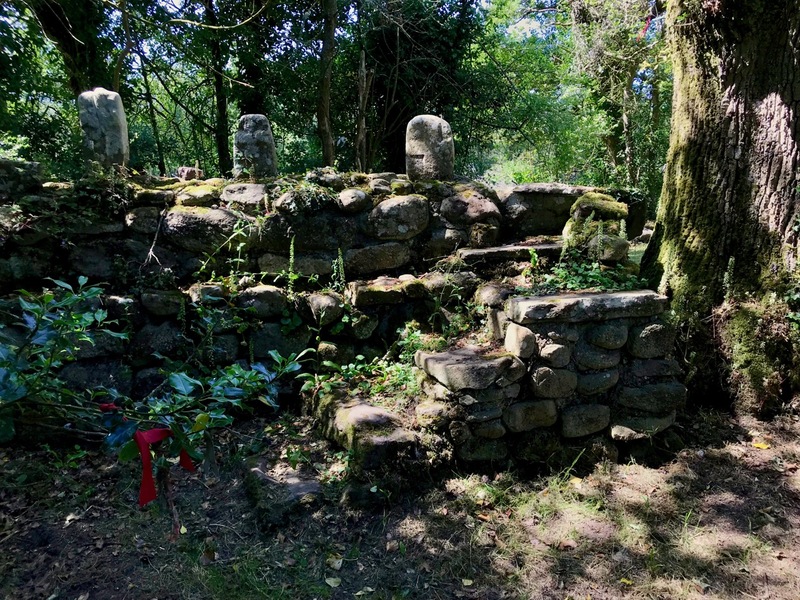 We had been alerted to this site by our friends Amanda and Peter, who have recently visited, and Amanda has given a comprehensive account of St Berrahert’s Well (also shown on the map) in Holy Wells of Cork. Like Amanda, I am unsure if there is a ‘correct’ spelling of St Berrahert: he is also known as Berrihert, Berehert, Bernihardt, Bericheart, and Bernard! 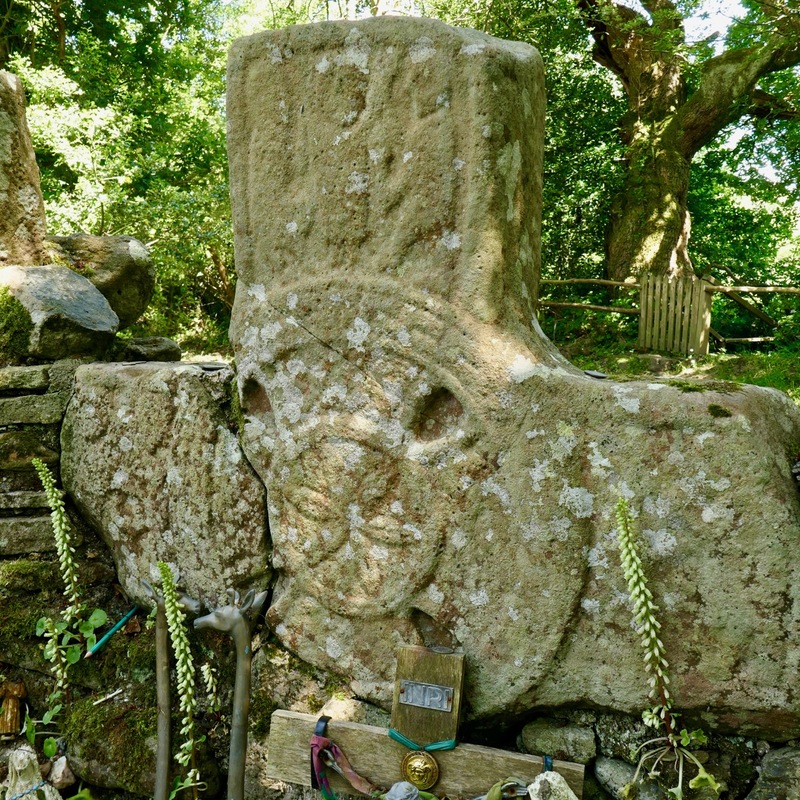 Not a lot is known about him, other than that he came to the Glen after the Synod of Whitby in AD 664 and died on 6 December 839 – one of the saints who, like St Ciarán . 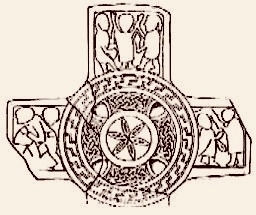 . . the first Saint of Ireland . 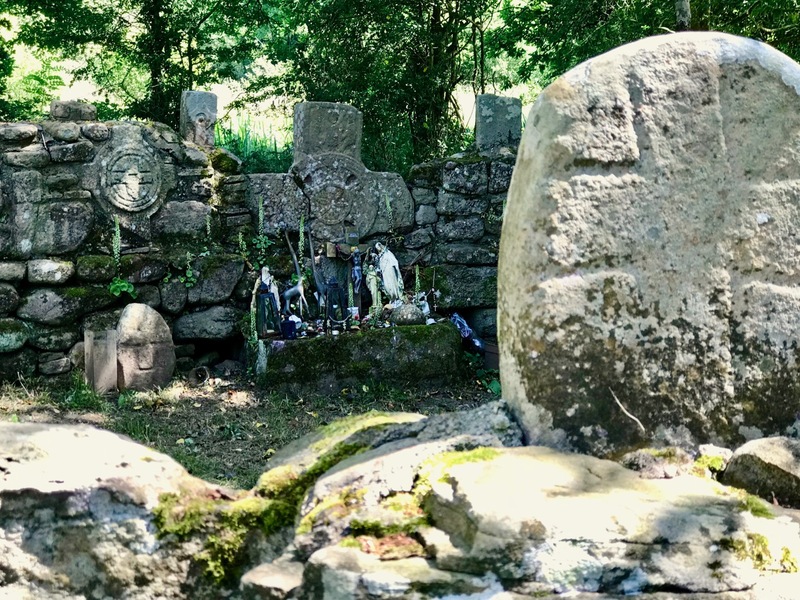 . . had a remarkably long life and who has left his name behind in the heart of Tipperary. 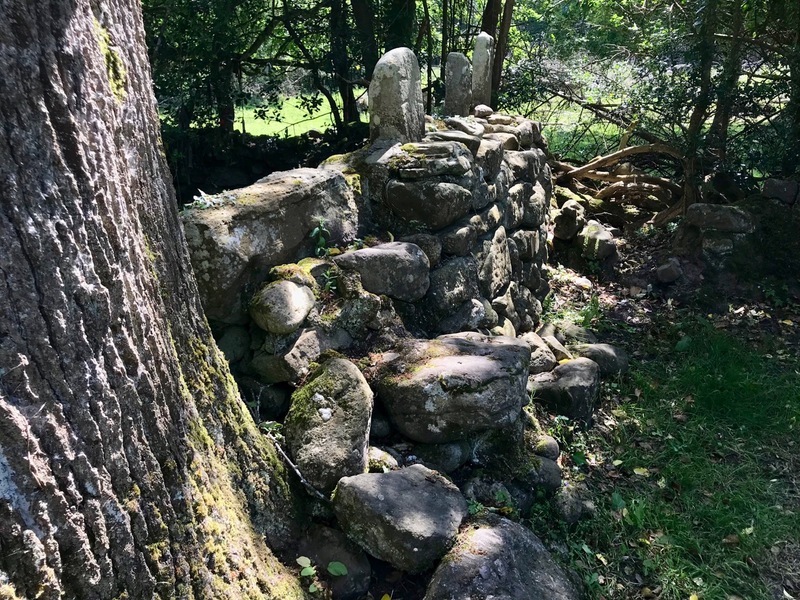 The place is generally known as St Berrahert’s Kyle (from the Irish word cill, ‘church’). It’s hard to find. 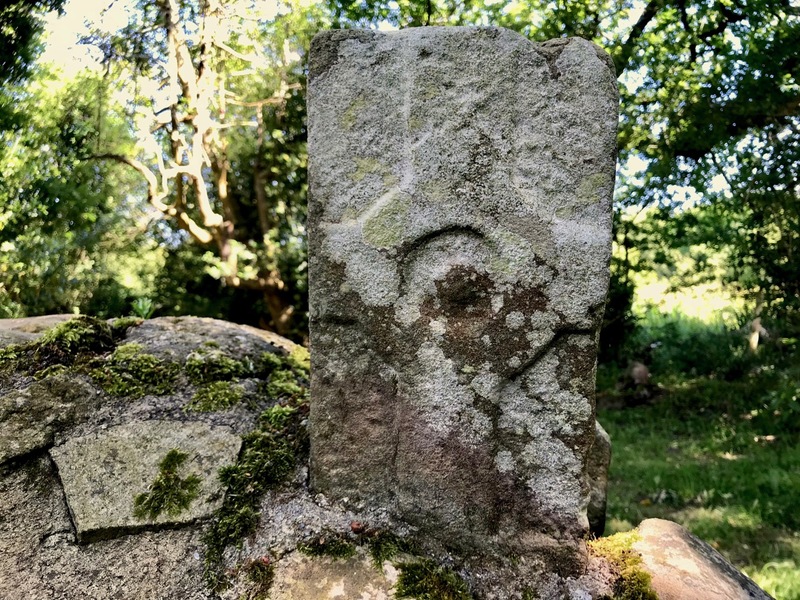 We enlisted the help of Jimmy Martin, a local resident, who regaled us most entertainingly – and at great length – about hooded monks, crows and strange characters he had personally encountered at the site, and cures which he had witnessed at the well. Following his instructions we crossed fields, passed somnolent cows, and saw before us the remarkable ‘Kyle’. This photograph was taken in 1907. 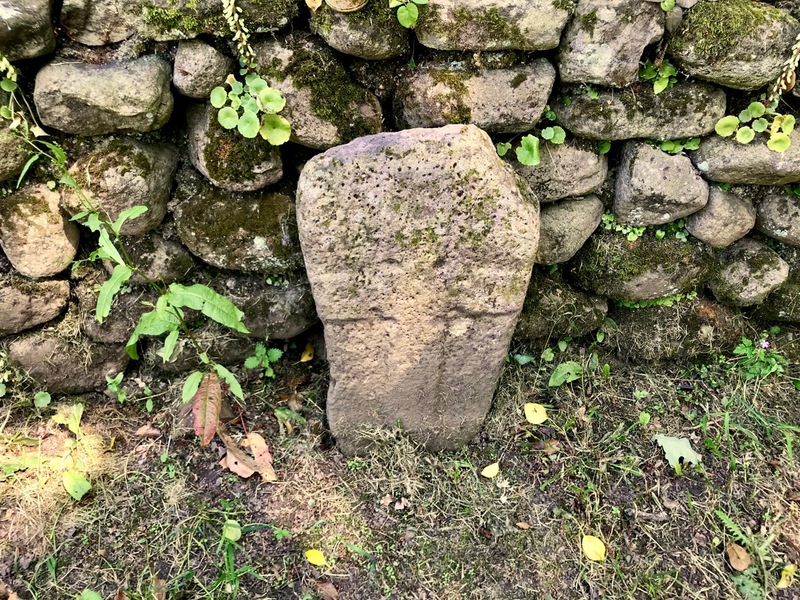 It shows that, for whatever reason, by that time a collection of stone crosses was assembled here. 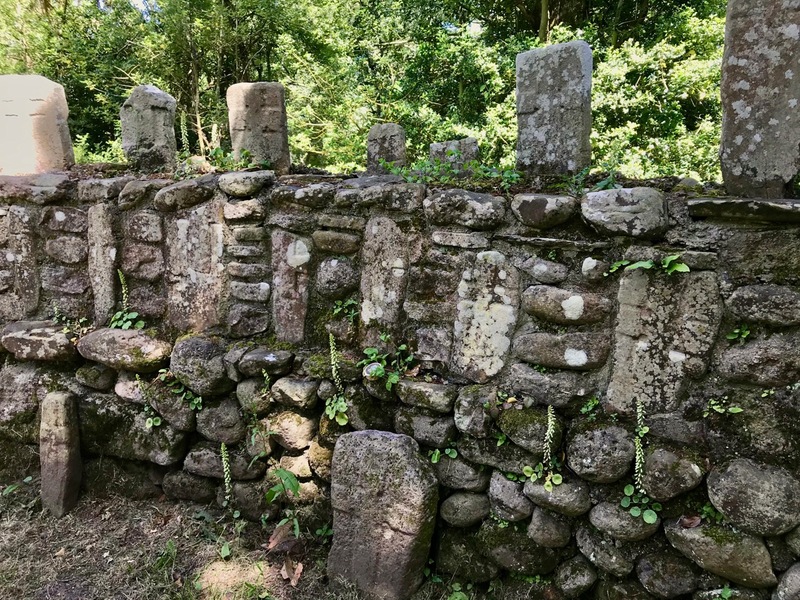 Suggestions have been made that an ancient church on this site was robbed of good building stone, but ‘sacred’ marked stones were left behind out of respect (or from fear of divine retribution). 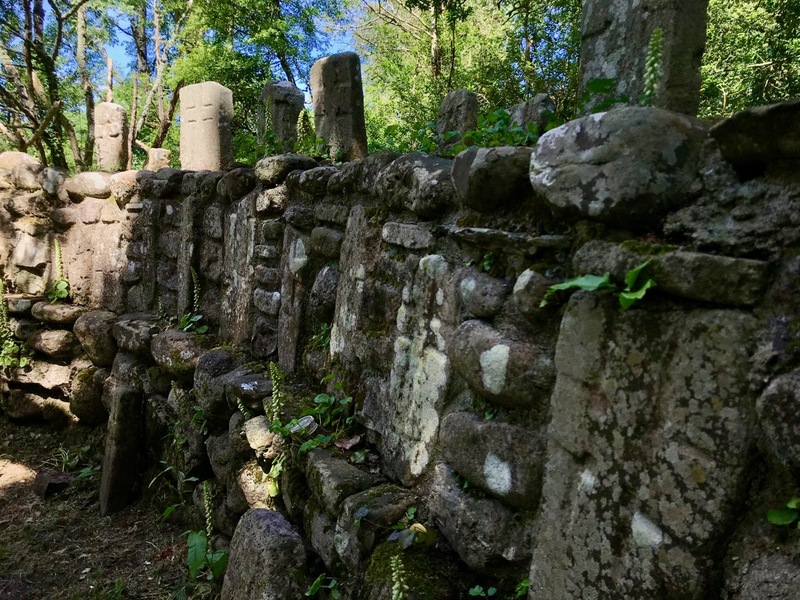 But records do show that the stone enclosure was built in 1946 by the Office of Public Works. 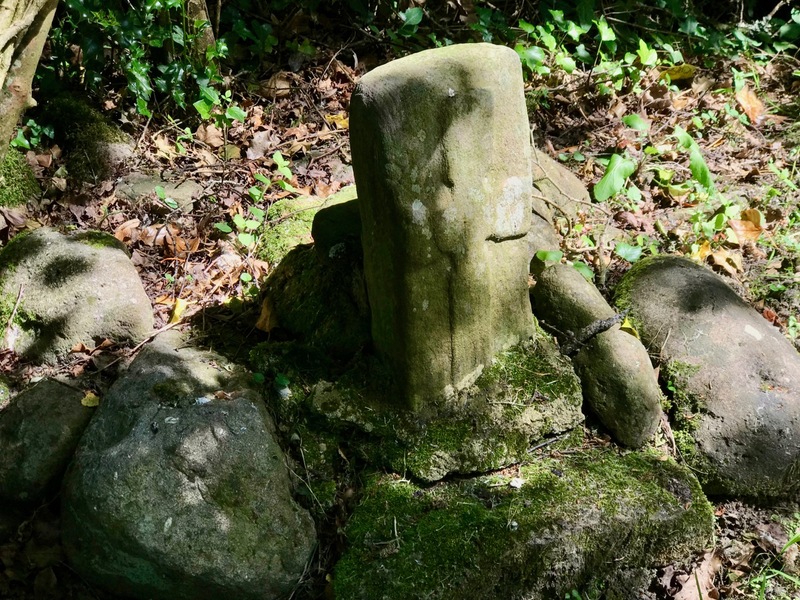 What we see today, therefore, is (like me) 72 years old, although of course the stones themselves must have been carved long ago. 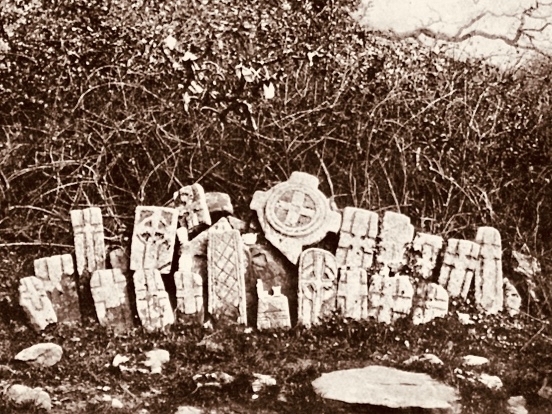 The whole collection of stone cross slabs, cross wheels and decorated pillar stones has been put together into an aesthetically pleasing composition which is exciting and – relatively – in safe keeping. To my mind it’s a far better way of displaying these enigmatic pieces than being tucked away in a museum. 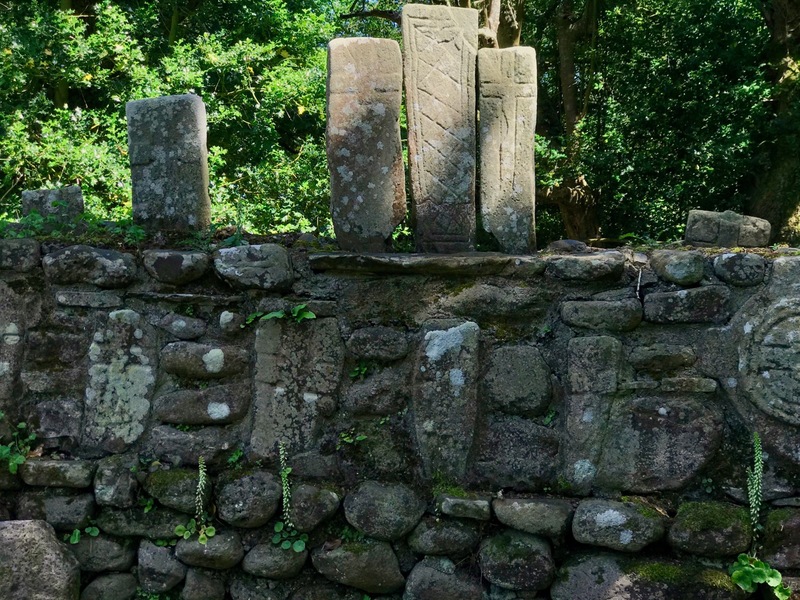 On a day when the harsh sunlight and perfect blue sky cast deep shadows and outlined the carvings so clearly the place was absolutely magical: the outside world seemed so very far away. The two largest crosses are set close to each other, built into the wall itself. 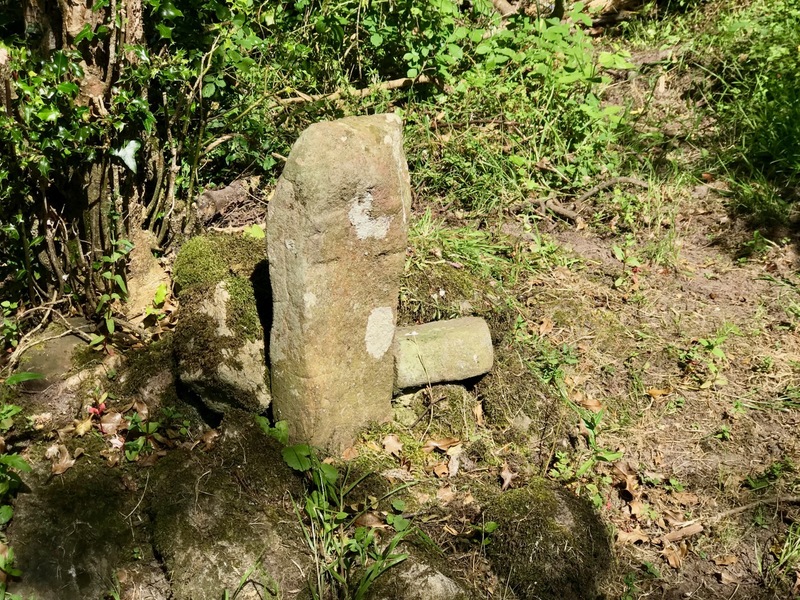 The first is – to my mind – undoubtedly a High Cross in the medieval tradition; it is likely to have originated here, in St Berrahert’s holy place. As to the others, their stories will probably remain untold. 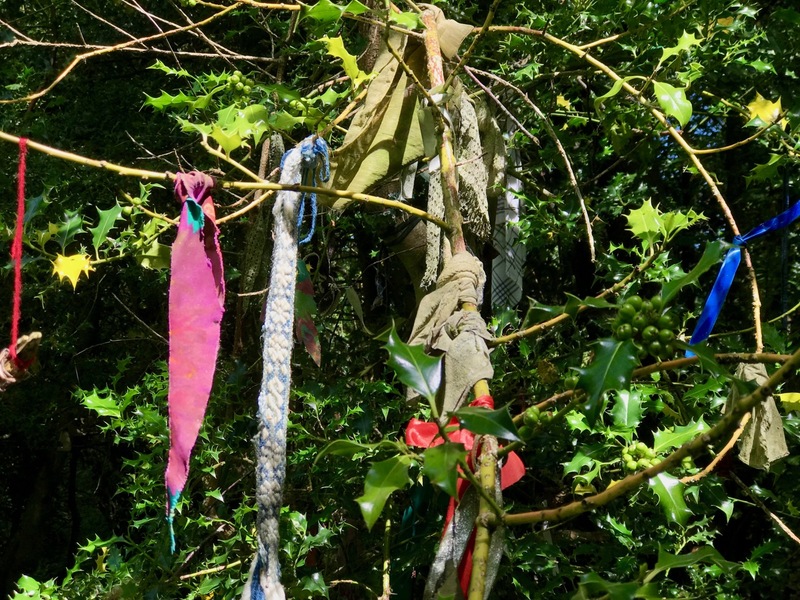 But I wish them all well, and hope that future generations appreciate that what has been put together here has a life of its own and should remain an open secret, to be revealed to anyone who makes the effort to search it out. 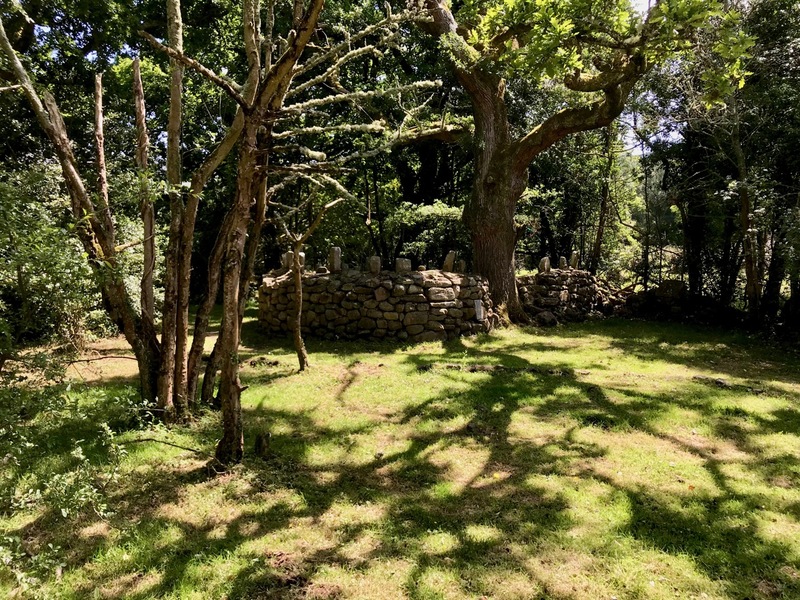 A pilgrim path – set out with ‘stations’ – encircles the enclosure (photos below). Would this be part of the 1946 construction? From here, the way to the well is marked across more fields, and requires negotiating a boardwalk. 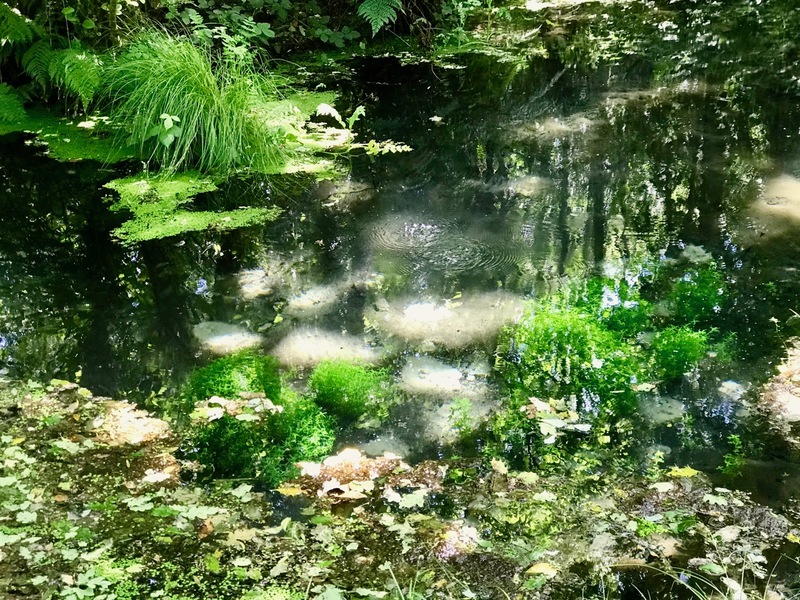 It’s a trip that has to be made, though, as the well itself – continuously bubbling up from the sandy bed – is just as magical as the Kyle. This entry was posted in Archaeology, County Tipperary, Irish Craft, Irish History, Irish Landscape, Medieval History, Religion, West Cork Blog and tagged Glen of Aherlow, High Crosses, Holy Wells, Irish High Crosses, Kyle, Medieval Carving, Off the M8, Office of Public Works, Pilgrimage Stations, Pillar Stones, St Berrahert, St Berrahert's Kyle. Bookmark the permalink. Remarkable. Ireland has no end of wonders, most of which are left to their own devices and visited by few. 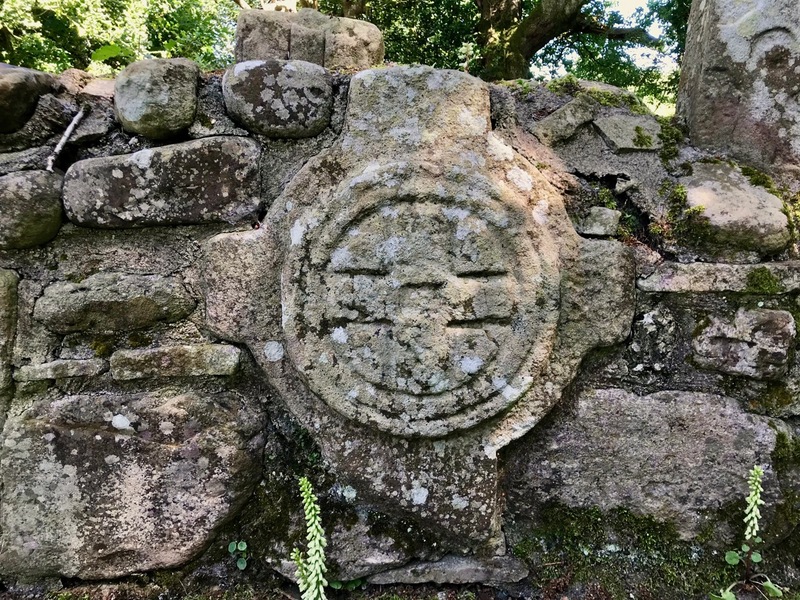 So the ‘stone cross’ on the original OS map ought to have read ‘stone crosses’ I guess. 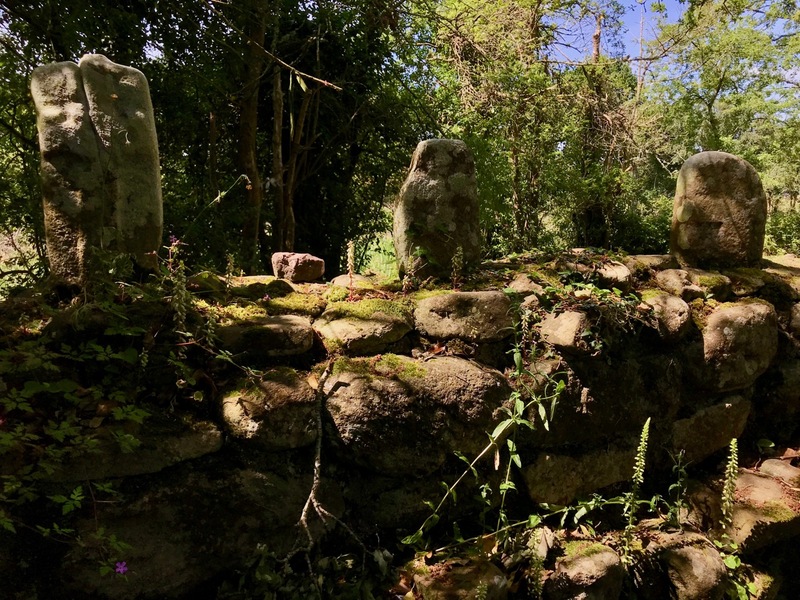 Beautiful places, Finola, I visit an aunt near Cahir and never knew about these ancient sites. 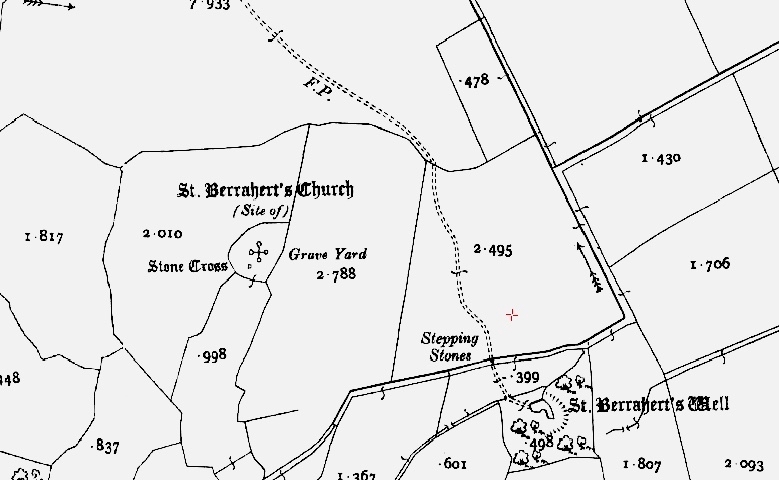 There is also a St Berither related site just west of Mitchelstown (the name escapes me right now) and a St Berither’s Well on the Macroom/Toons Bridge Road. Probably Tullylease near Mitchelstown, but I don’t know the one Macroom/Toons. Must look it up! Thank you. Toureen Peachán is also not far away and well worth a visit when you are in the locality. More engraved cross slabs, church site and holy well. Thank you, Jerome: it was on our list but we didn’t have time to go there. We’ll be back very soon! One of the most extraordinary sites ever, so glad you’ve got there and some fantastic photos. Apparently the rounds were only set out in the 1940s. I wish I’d met Jimmy Martin. Now you must return to see St Peakaun!